Cuddle Like Koala Bears From Hell. . Wallpaper and background images in the Deadpool (2016) club tagged: photo deadpool 2016 deadpool ryan reynolds wade wilson morena baccarin valentine's day. 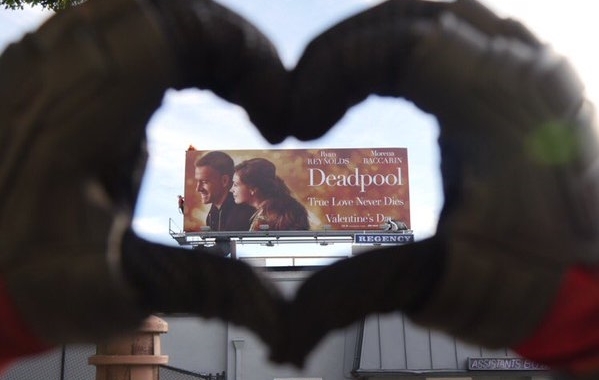 This Deadpool (2016) photo might contain signo, cartel, texto, pizarra, and letrero.